So Halloween has come and gone, and I’m looking at leftover candy. And I’m trying to come up with a topic for this post. But the leftover candy is calling me. And so is Mayuko’s recent post about ReggieNet, our new Learning Management System. Because this transition is such an important project, it’s kind of always on my mind, even if on the back burner. Like that darn candy. So I thought I would follow up on what Mayuko had to say about ReggieNet. We are actually pretty excited about the new system, but we also know that there is still a huge amount of work yet to be done. The server folks have our local instance installed, but they’re still tweaking some of the details so it will function the way the transition team wants it to. We have been put to the task of running it through its paces, and we’ve already managed to find ways to cause trouble. Our goal, and that of the Spring semester pilot program, is to find all those ways of making trouble now, and devise ways of preventing you all from falling into the same pitfalls. We are concurrently working out plans to assist faculty through the transition process. We’re looking at a combination of workshops, walk-in help sessions, and individual assistance. The schedule for those has yet to be finalized, but once it is, you can be sure we’ll get the word out. We’re aware of a certain level of anxiety among faculty about having to switch systems, and we hope to make the process as smooth as possible. There will be some bumps along the road, and the bumps may be bigger for some than for others, but our intention is to minimize those bumps as much as we can. Some folks will have to make larger adjustments than others based on how they currently use Blackboard, but there’s no way we can avoid that. It was inevitable, no matter which new system we ended up with. So we look forward to working with our current Blackboard users, and our future ReggieNet users, to establish the best teaching and learning environment that we possibly can. And now, you’ll have to excuse me. 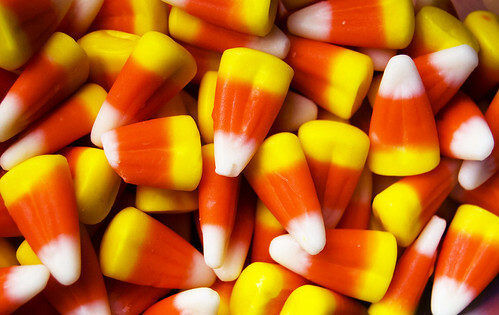 I think I hear some candy corn whispering my name.